This section covers guides related to automation and control systems as well as information technologies that will help you to reduce the need for human work in the production of goods and services. If you are interested in programming of PLCs, make sure to visit PLC Programming Training section which contain serie of video lectures in PLC programming. 1 Automation Solution Guide . 2 Danfoss – Fact Worth Knowing About Frequency Converters . 3 Network Protection And Automation Guide . 4 PLC – Programmable Logic Controller . 6 Telecommunications Building Cabling Systems Planning, Design . 7 Danfoss – From Real-World Applications . 8 Profibus – Cabling and Assembly . 9 PLC – Theory and Implementation . 10 An Industrial training report – Study of SCADA System and PLC . 11 Allen Bradley Scada System Guide . 12 Variable Speed Pumping Applications . 13 Calculation analysis of energy saving tools for fan and pump applications . 14 White Paper: Cyber Security Issues for the Smart Grid . 15 Adjustable Speed Drives Tutorial . 16 Basics for Practical Operation – Motor Protection . 17 SCADA Systems In Wastewater Treatment . 18 Industrial Automation Pocket Guide – IDC Technologies . 19 Harmonic Distortion of the AC Power Line in HVAC Systems . 20 Motor Book – Grundfos . 21 Induction motors fed by Pulse Width Modulated (PWM) frequency inverters . 22 IEC Low Voltage Motors Guide . 23 Guide To Specification of Electric Motors . 24 AC Motor Selection and Application Guide . 25 Operating instructions and maintenance manual for LV AC induction motors . 26 Guide to System Design for Control of Electrical Noise . 27 Guide to SCADA Systems and Industrial Control Systems Security (DCS, PLC) . 28 Guide to Design of Industrial Control Panels . 29 Lessons in Industrial Instrumentation . 30 Fundamentals Of Automation Technology – Technical Book . 31 Basics Of Motor Starters And Contactors . 32 Industrial Control Wiring Guide . 33 Course On Electrical Machines and Drives For Students . 34 Learn PLC Programming (by Relay Sequences) . 35 Premium Efficiency Motor Selection and Application Guide . 36 Basic Training For Industrial Electric Motors, Gearmotors and AC/DC Drives . 37 Variable Speed Drives – Guide To Energy Savings For Business . 38 Guidance For Using Variable Speed Drive (VSD) In Irrigation Pumping . 39 The basics of supervisory control and data acquisition (SCADA) systems . 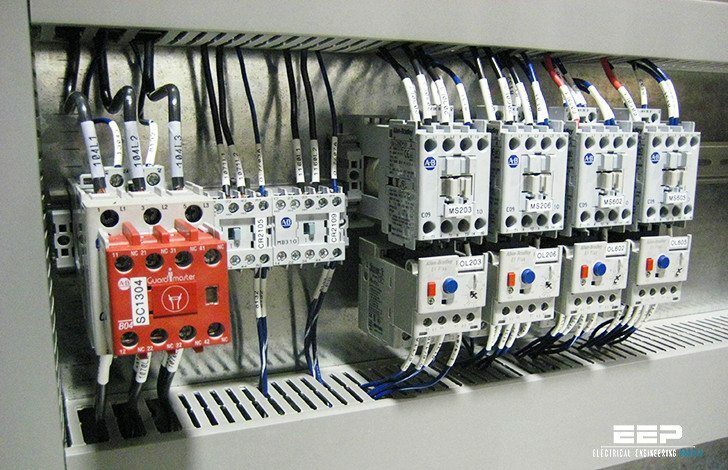 40 Guidelines for automating manufacturing systems with PLCs . 41 Guidelines for PLC installation, start up and maintenance . 42 Installation guidelines for AC power drive systems (VSDs and motors) . 43 Low voltage motors – Installation, operation, maintenance and safety manual . 44 PLC ladder and sequential programming for industrial automation . 44 Practical guide to SCADA systems for industry . 45 All about wiring of electric motors . 46 PLC handbook – A practical guide to programmable logic controllers . 47 Technical specification for SCADA and automation systems . 48 Wiring manual for command & signalling, automation, motor applications and power management . 49 Automation control system specification, design and installation guide . 50 Adjustable speed drive motor protection applications and issues . 51 Electric motors – Energy efficiency reference guide for novice & experienced users . 52 Automation and control of industrial machinery and processes – Theory and practice . 53 PLC Implementation Of Beverage Routing Control Algorithm Using RSLogix5000 Software . 54 How To Pick The Right Stepper Motor For The Job And What You Need To Know . 55 Lecture notes in electrical drives and traction systems for students (7th semester B.Tech) . Thank you so much. Please expect from me a continous support through my donations. You have truly have a grateful spirit which is very helpful in promoting electrical engineering. how to download the resources listed here . I hope if you give us a paper for Telecom Systems in Power Substation. Really thanks for this website. Its helping me lot in my work. i shared this website with my friends and company colleagues . Also keep updating this website. Thank you for the kind words Mahesh! Glad to know all this information on this website. This is where Electrical engineering brains meet.